Streamway Villa residents show off their big smiles as they make their way down the Otonabee River towards the Peterborough Lift Lock. 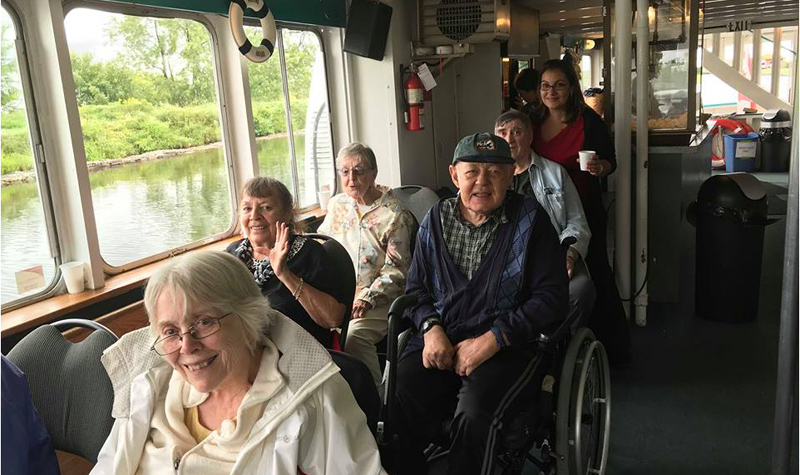 Streamway Villa residents and staff members went on the famed Peterborough Lift Lock cruise on Sept. 11. The outing was a new experience for some residents, while others found themselves reminiscing about times they had spent on the water. Streamway Villa resident Joe Sherman is seen here during the Sept. 11 trip to the Peterborough Lift Lock. the Otonabee River section of the Trent-Severn Waterway brought back many memories for residents of times they had spent on boats. 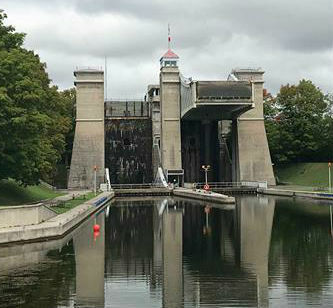 The tour took the group down the Otonabee River to the lift lock, which is located in the east end of Peterborough. At 65 feet, the Peterborough Lift Lock is the tallest hydraulic boat lift in the world. The lift lock is also a national historic site. RAI co-ordinator Kerrie Chapple was another Streamway Villa team member who went on the cruise. Like Christina, Kerrie says the outing was an experience that residents enjoyed whether or not they had been to the lift lock before. At 65 feet, the Peterborough Lift Lock is the world’s tallest hydraulic boat lift. 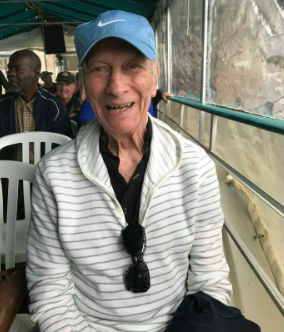 Resident Jean Varep says the lift lock cruise provided a “fun” day for her. While Jean had not been on the Peterborough Lift Lock cruise before, she has been to several other canal boat lifts.